Join the Home & School Association at your child’s school! Engaged parents make a HUGE difference and your child’s school will benefit directly from your efforts. Facebook users can help A.S. Jenks get a free Target gift card with just the click of your mouse! You can vote once every 5 days. Visit: https://apps.facebook.com/givewithtarget/school/40233. Jenks (2501 S. 13th Street) will be holding a school supplies drive from September 3rd – 6th, 9:00 am to 12:00 pm. Donations will be accepted at the front door on 13th Street. Donations of copy paper are especially appreciated. Volunteer to help out in the main office at Key Elementary School on Monday, September 9, and Tuesday, September 10, as they welcome students and families back to school. If you are available 8 am to 10am on either of these days, please consider volunteering your time. Click here to sign up for a shift: http://www.signupgenius.com/go/10C0D4AAAA92BAAF49-back. 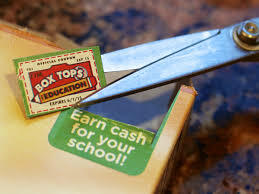 Clip & save Box Tops for Education (pictured right), which are found on many common grocery items. These can be dropped off at either Key Elementary School or Jenks. Follow the latest developments on the Philadelphia School District by following hashtag #phillyeducation on Twitter! You can also drop off gently-used children’s books at the LoMo Fall Flea Market on Saturday, September 14, or contact us to arrange a pick-up. One free book will be given away for free to every child who attends this community event (while supplies last).